About six weeks ago, my father’s hope and greatest longing was granted. He entered Heaven and is now in the presence of the Lord Jesus Christ, the Savior of his soul. My siblings and I, along with our entire family, have been moved beyond words over the outpouring of love we have felt from all over the nation and around the world. We are humbled and deeply grateful. And we are even more grateful to God for answering my father’s prayer, and ours, that his death and funeral would be an occasion to bring great honor to the Lord Jesus Christ. How wonderful to see the name of Jesus lifted up again and again as news and social media worldwide talk about Billy Graham’s life, ministry, and homegoing. On just the first evening after his death, nearly every national newscast in America included segments showing him boldly preaching the Good News of Jesus Christ. Millions who watched the funeral on TV or via the internet heard the clear presentation of the Gospel. People from at least 232 countries and territories—almost every place on earth—visited our websites in the days following my father’s death, where they could learn the life-changing truth of the Gospel. We praise God for the thousands who have indicated making a decision for Christ. To God alone be the glory! Stories of God at work are coming from all over. One person who watched the funeral was an older man in the hospital. For many years he has resisted his family’s efforts to witness to him. He heard me say, “Last week my father embarked on the journey he had been looking forward to all his life, the journey from Earth to Heaven. If this were your funeral today, would you be in Heaven? Are you sure?” The Holy Spirit touched his heart. He shut off the TV and asked for a chaplain to come to his room to pray with him as he gave his heart and life to Jesus in repentance and faith. My father would be thrilled that God used the events surrounding his homegoing to open hearts and change lives for eternity through the power of the Gospel. “So now also Christ will be magnified in my body, whether by life or by death” (Philippians 1:20, NKJV). After his death, we brought his casket to Charlotte, placing it in the family homeplace where he lived as a child. That house is now on the grounds of the Billy Graham Library, just four miles from its original location on what was once the Graham family farm. We were incredibly touched that thousands of people came to view the simple casket and remember him. Many were believers and longtime prayer supporters who simply wanted a moment to say goodbye. But God brought some there for other reasons. One guest asked the woman in line behind her how God had used Billy Graham in her life. She replied that she’d never heard my father speak, nor did she know much about him—but after watching the television coverage following his death and hearing people whose lives were changed through his ministry, she realized something was missing in her life. “I want what those people have,” she said through tears. Right there near the casket, one guest shared with the other about God’s love and the simple truths of the Gospel that my father preached his whole life. The funeral was two days later in Charlotte. We gathered in a 28,000-square-foot tent, reminiscent of the huge tent known as the Canvas Cathedral where my father held his first historic Crusade in Los Angeles in 1949. The President and First Lady, Donald and Melania Trump, along with the Vice President and Second Lady, Mike and Karen Pence, joined 2,300 invited guests. We sang hymns chosen by my father and heard Scripture he had asked for, including Ephesians 2:8. “By grace you have been saved through faith, and that not of yourselves; it is the gift of God, not of works, lest anyone should boast” (Ephesians 2:8–9). There were representatives of over 50 countries in attendance. My father’s sister Jean Ford, his only surviving sibling, spoke briefly, as did my sisters Gigi, Ann, and Ruth, my brother Ned, and myself. 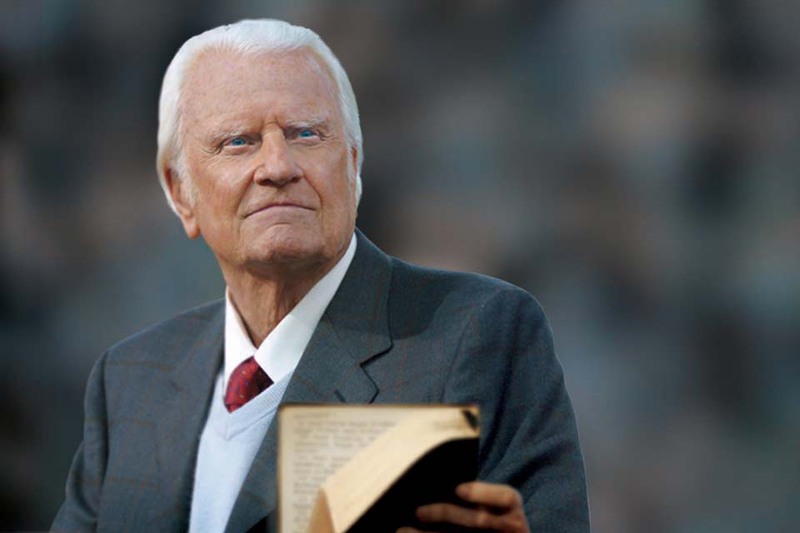 When I asked him a few years ago what he wanted on his tombstone, my father replied simply “A Preacher of the Gospel of the Lord Jesus Christ.” His body has been laid to rest in the prayer garden at the Billy Graham Library, next to my mother, whom he loved deeply. I remember a conversation I had with my father several years back when he mentioned how much he missed his father—and, at that time, his father had been dead for over 40 years. Now that my father has gone to Heaven I can better relate to what he was feeling. Not only do I miss him now, but I believe I will miss him every day until the day I see him again—in the presence of the Lord Jesus Christ. I’ve learned so much from my father through the years. When Reverend Sami Dagher from Lebanon spoke at the funeral service, he talked about how my father was a teacher, even though he never used a blackboard or a computer—he taught by example. That was a wonderful illustration and so true. I’m very grateful that God gave me parents who set an example, not only for us at home, but for the whole world to see. For the last 12 years, I have been working on a book about lessons I learned from my father. I am calling it Through My Father’s Eyes. My father taught me about God and His Word. He taught me never to question the truth and authority of God’s Word. God says it—that’s it. No arguing. Not only did he teach me about the Word of God, but he was faithful to follow it in his life. Even if he didn’t understand it all, he still believed it. I learned from my father how to lead a ministry and the importance of accountability to supporters with standards and policies needed for transparency. I learned from his generosity. After my mother died, my father told me, “Franklin, I want to make sure that I give what I have away to the Lord’s work while I’m still alive.” Over the last decade, he did. We finally had to remind him that he was living longer than he had planned—and we were very glad—but he needed to also consider the years God might still give him. After about age 90, he had nurses and caregivers in the home to assist him. These people became like our family. All of us children love them, and Daddy loved them. The most important thing my father taught me is that Jesus Christ is God’s Son who took your sins and mine to the cross, shed His blood for our sins, died in our place, and God raised him to life. He taught me that we needed to preach that message with urgency until Christ returns. That’s exactly what I plan to do. People have asked if the Billy Graham Evangelistic Association (BGEA) is going to redefine our mission, or update our message. Of course not. That will never change. There are more people alive in the world today who need Jesus Christ than ever in history. We are going to keep on obeying Christ’s Great Commission until He returns, proclaiming the Good News that “God so loved the world … He gave His only begotten Son, that whoever believes in Him should not perish but have everlasting life” (John 3:16). God has opened many doors to share the Gospel in 2018, and we have a busy year. On April 7-8, I will lead an evangelistic Crusade in Lisbon, Portugal, and I ask for your prayers. We also have BGEA Crusade events in Tennessee and India this month, with many more scheduled through the year. Beginning in May, I will preach the Gospel on a tour of 17 cities up America’s West Coast. We need your prayers and we need your financial support as we continue taking this Gospel message around the world. 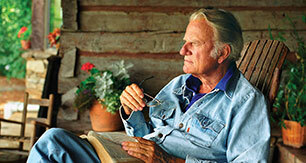 Billy Graham Trivia: What Was the First Book Billy Graham Wrote?